On today’s whale watch aboard the Aurora, we headed back to the NW corner where our sei whale action was yesterday. The corner today was a bit more quiet, but I was elated today to spot a sei whale still out there. We also spotted scattered Northern Gannets throughout our trip. We first spotted the blow in the distance, and each time the individual would also exhale 1-2 times at the surface before taking its dive. This whale continued to keep up with this behavior throughout the trip, often changing direction. We didn’t observe any skim feeding today, so I’m guessing perhaps the prey was deeper in the water column, or this animal was just looking for food. Sei whales have been observed to take 40-60 second breath intervals, which is what myself and fellow naturalist Heidi also observed today. Later in the trip this whale began not to travel as much, and graced us with some nice looks alongside our boat. Every day on the water while collecting whale sightings data, we have also been collecting data on the marine debris we see – which is quite a lot throughout an entire season! 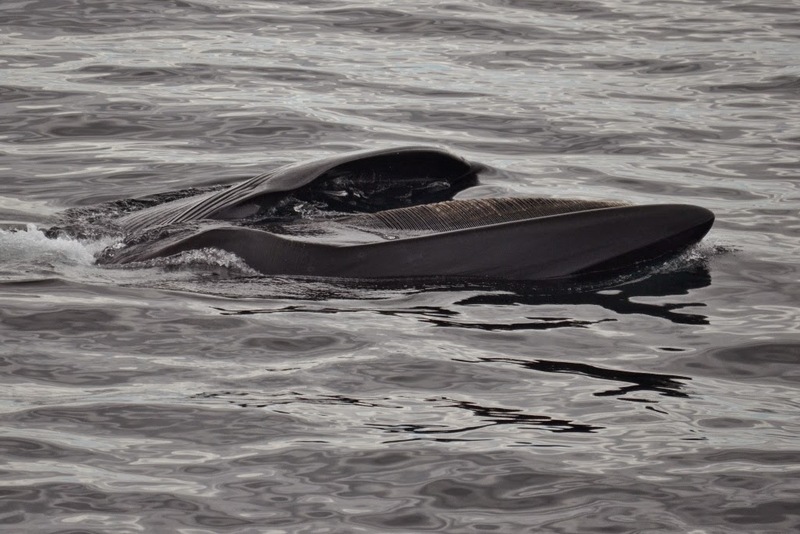 Today as we spotted some floating plastic in the water while watching our sei whale, it was a grim reminder of a recent article posted by National Geographic, How a DVD Case Killed a Whale, which is about a wei whale that had a piece of a DVD case lodged in its stomach, preventing it to eat. This unfortunate story can hopefully be shared with many as a reminder to be conscious about our plastic consumption, and where our trash ends up. Yesterday on board the Cetacea for the 9am whale watch, Captain Jimmy lead us to the southwest corner of Stellwagen Bank to search for whales in near perfect conditions with great visibility. 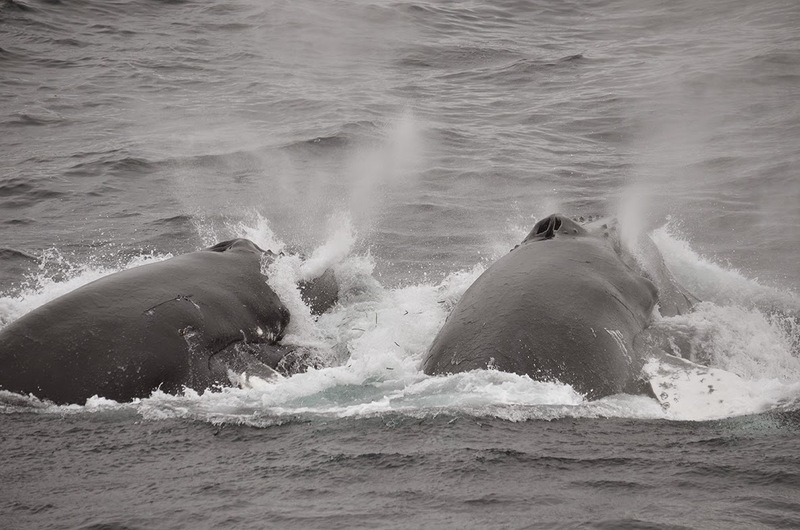 Once arriving on the bank we found scattered humpback exhalations. 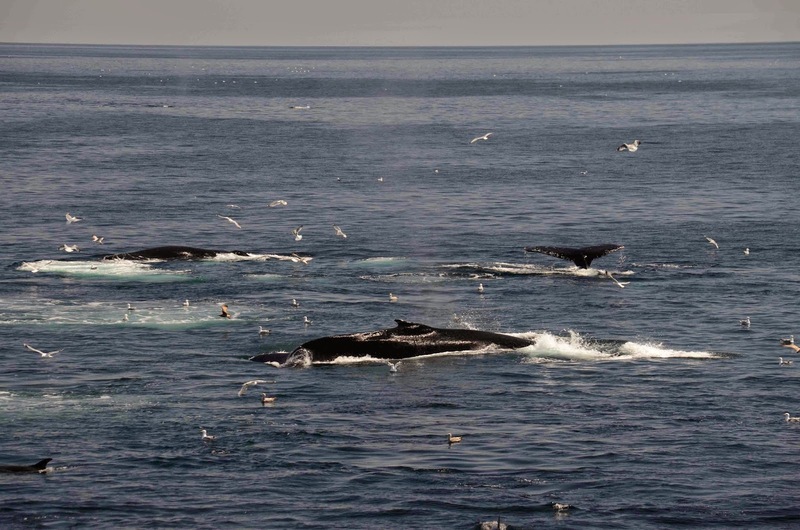 We maneuvered slowly through the area to approach a large group of humpbacks. The group of 6 was taking short dives, about 3-5 minutes. It was Milkweed, Tornado, Owl and calf, and Jabiru and calf. During our time with this group, Nile and Perseid came into the area, joined with the group for a few dives, and then continued on their own. 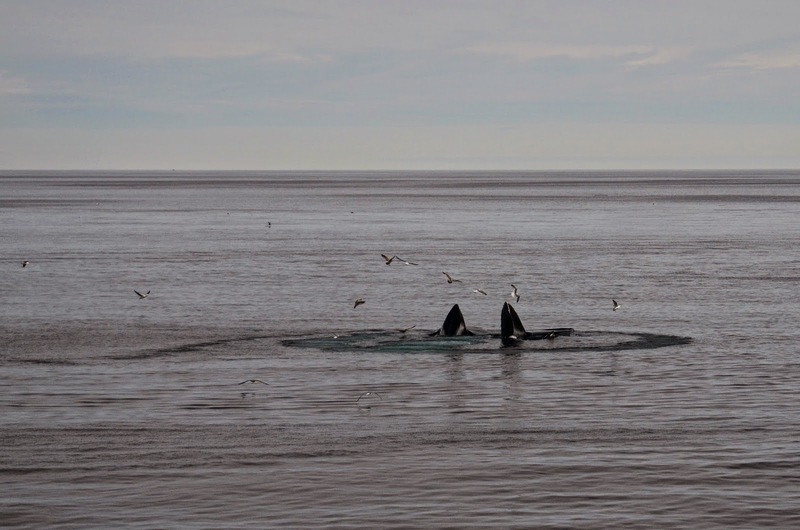 While all the adults and moms dove, the 2 calves kept passengers entertained, rolling about on the surface. We even saw 2 spy hops from Owl's 2015 calf! As we were exiting the harbor for our 2pm trip, we noticed a very large thick fog bank had rolled in. After communicating with our sister vessels and fellow whale watching boats and searching through the thick fog, we came across 2 slow swimming humpbacks. It was Measles and her 2015 calf! I spent a good amount of time with Measles last season, so I was happy to see her as a mom this year. Whale watching in the fog is very different than without fog. 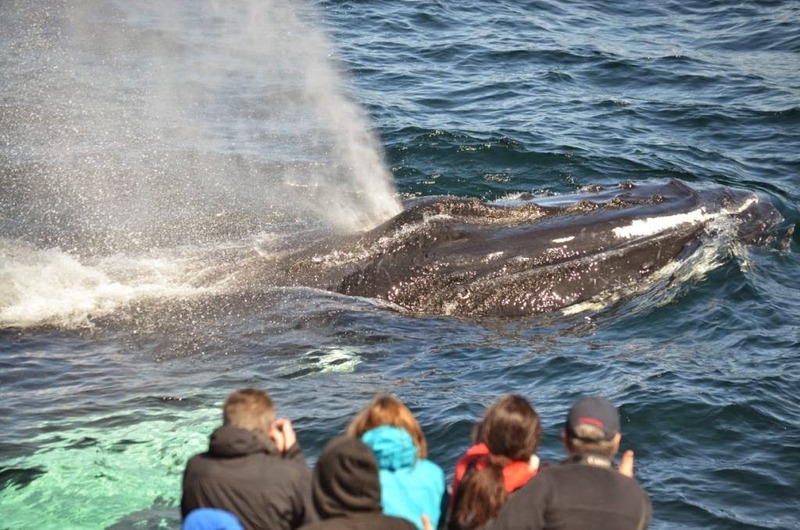 Passengers had to use their other senses to help locate the whales. Our new summer interns on board, Maddy and Ann, were getting great practice listening for whale exhalations. Listening intently paid off as we were able to get lots of great looks at this mom and calf duo, even when we'd thought we'd lost them only 50 yards off the boat. After yesterday’s rough sea conditions we were excited about getting back on the water today and headed out to the northwest corner in much more favorable conditions. Despite the light rain that greeted us at the northwest corner we were successful in finding a group of five feeding sei whales. This is our second day seeing sei whales and I hope that this doesn’t diminish how exciting these sighting are! 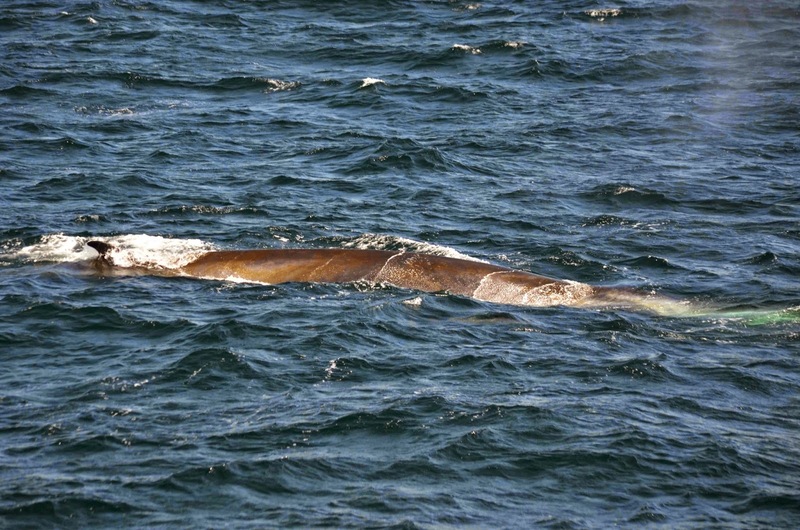 Sei whales are not a common visitor to Stellwagen Bank though they are found throughout the North Atlantic and other oceans. 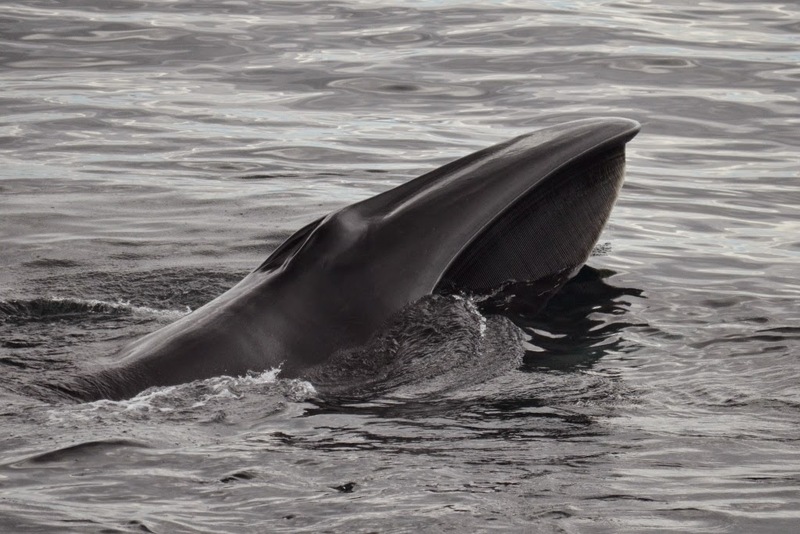 Sei whales are known for their “invasions” when suddenly a large number of sei whales will be seen in an area, likely drawn by an abundant food source. 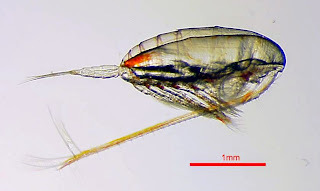 This is possibly what is happening here at the moment; sei whales feed on copepod zooplankton, just like right whales, and there are also a large number of right whales being currently sighted in Cape Cod Bay. With any luck we’ll have a few more days of sei whale sightings to come. 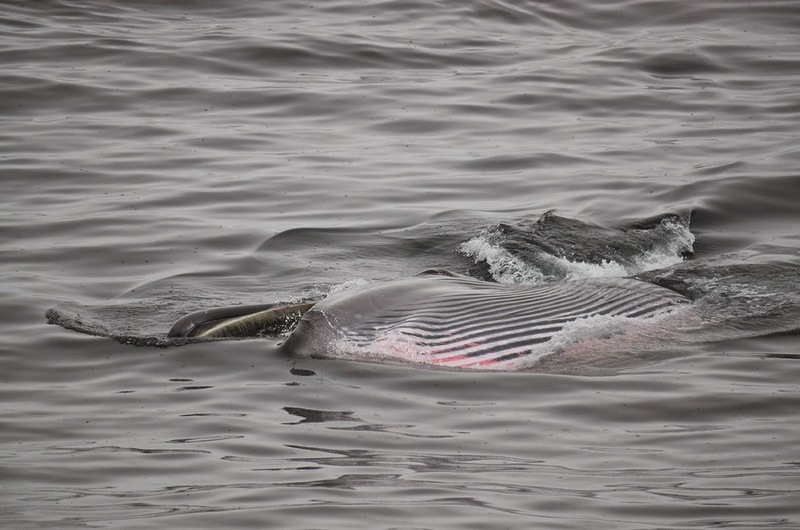 Sei whales are rorqual whales, just like humpback and fin whales, which are characterized by the grooves or pleats running down the throat allowing the skin to expand. 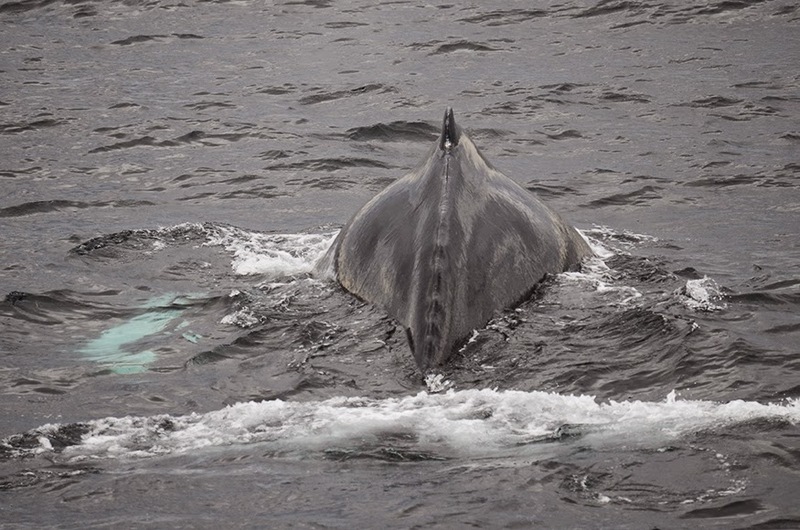 Today we got to see lots of this as the whales were doing what we call side lunges, when the animal lunges with its mouth wide open sideways through patches of prey. Many rorqual whales have pinker skin on the inside of these grooves which is only visible when these grooves are expanded. Sei whales are smaller than our fin and humpback whales, only about 40-50 feet in length and are incredibly streamlined. Though our whales were lazily feeding today, they are very fast swimmers and can reach speeds of over 30 miles per hour. 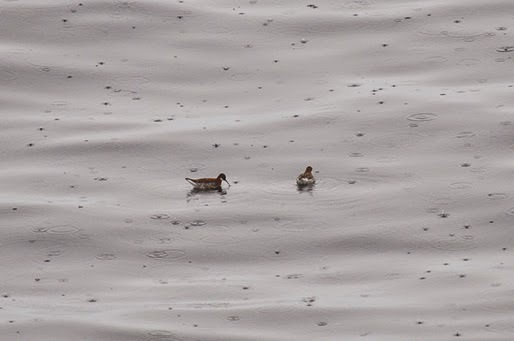 The calm seas also allowed us to spot an interesting bird species, two red-necked phalaropes, a tiny wading bird. It was a very peaceful morning with the calm season, gentle rain, and five skimming sei whales. 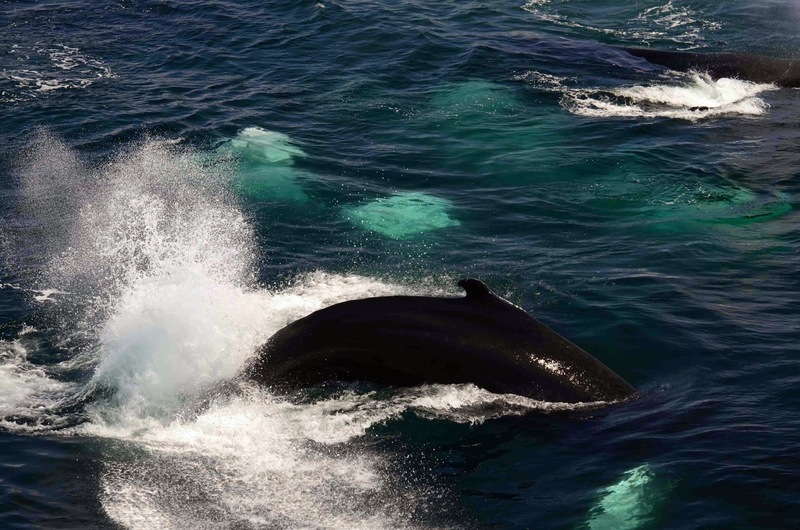 Our whale watch yesterday was a very special and unforgettable experience. We had a few usual suspects out there including Atlantic white-sided dolphins, harbor porpoises, minke whales and fin whales. But more importantly, we had a scattered group of about 10 skim feeding sei whales. This was my very first time seeing sei whales, so it was an especially exciting trip for me! 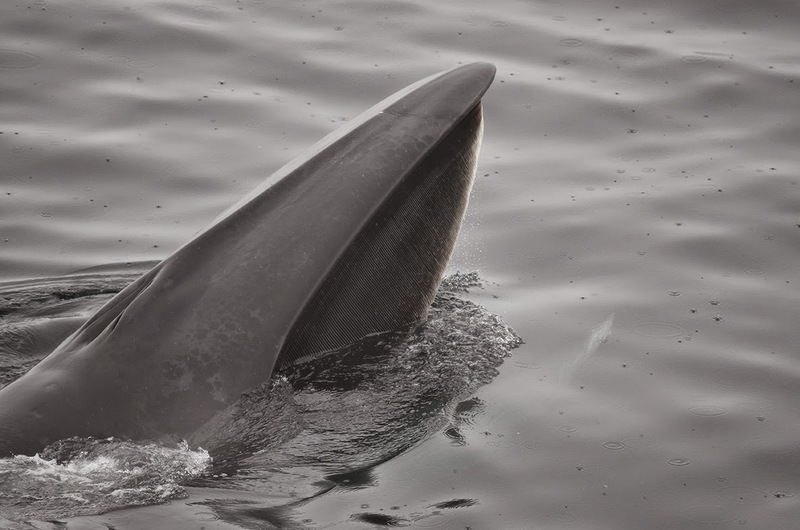 Sei whales are large, 40-60 foot baleen whales that rarely, but occasionally visit the inner waters of Massachusetts Bay. 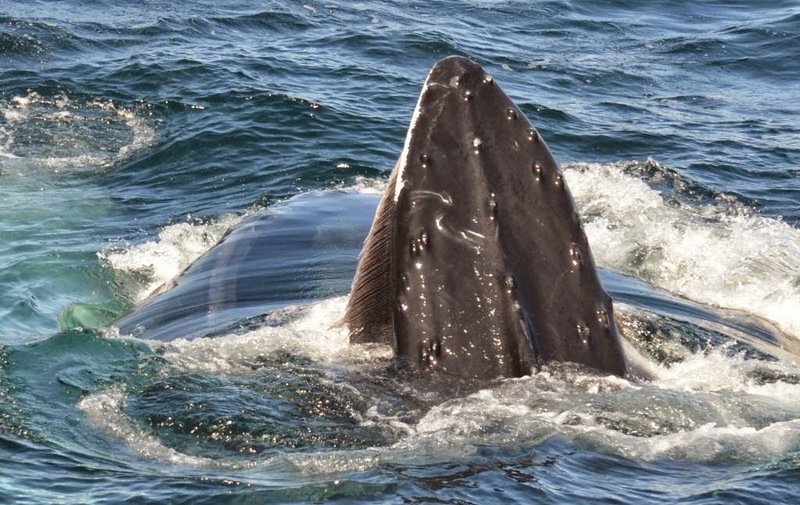 While they are rorquals like fin, humpback and minke whales, their prey and feeding habits are more like right whales. 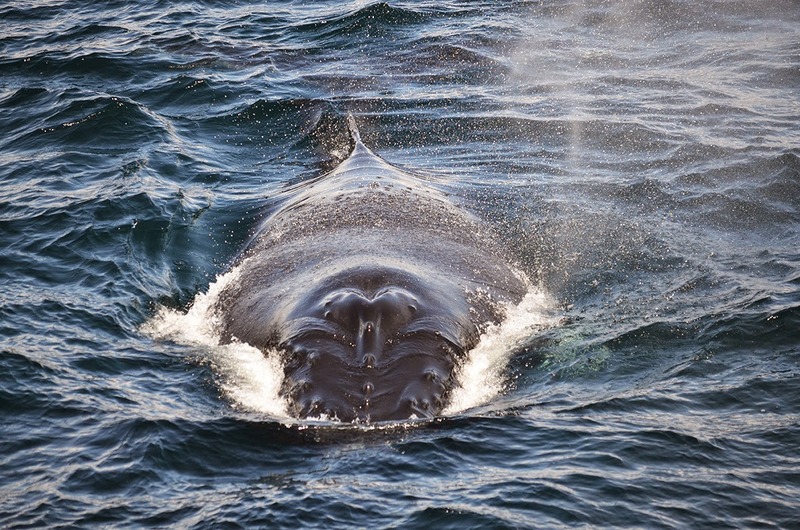 Sei whales, like North Atlantic right whales, feed primarily on copepods, a type of zooplankton. When large patches of copepods are present, they sometimes swim through this area in groups taking advantage of this feeding opportunity. I had a lot of guests asking me about these copepods so I thought I'd add a photo to give our readers an idea of what type of animals these sei whales are filtering out of the water (see photo). Considering how small these animals are, you can imagine they have to filter a very large volume of water to get the biggest bang for their buck. They do this by opening their enormous mouths and swimming very slowly across the surface of the water for extended periods of time. This is what we call skim feeding. 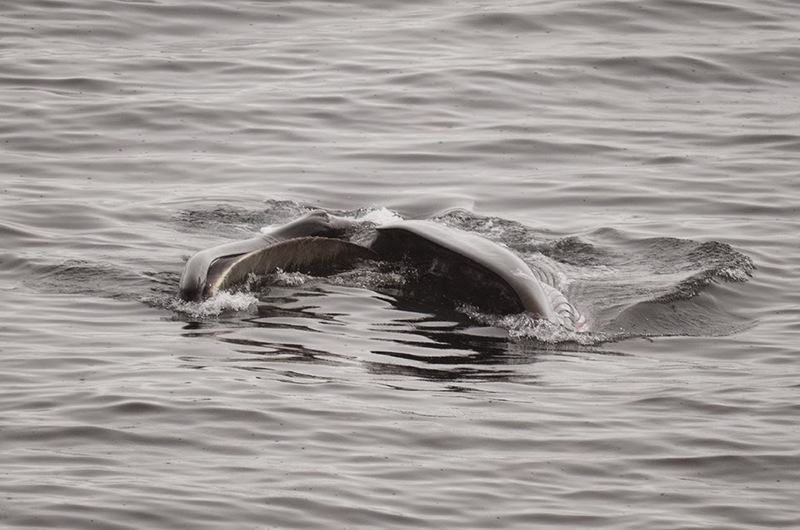 You can see from the photos that this type of feeding is very different from the powerful lunge feeding we are used to seeing humpback and fin whales displaying. Skim feeding is a very tranquil and beautiful behavior to watch and something, in four years of coming out to Stellwagen Bank, I have never been able to experience. 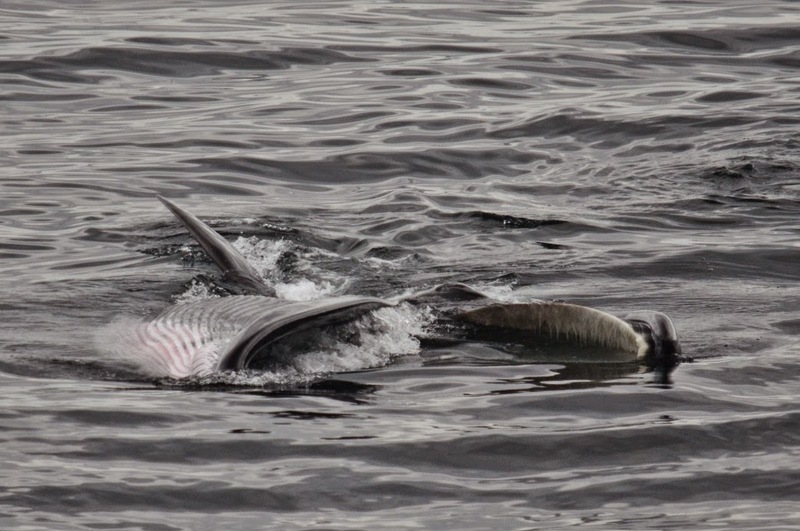 This slow and graceful feeding gave guests the opportunity to observe, in slow motion, the function of ventral pleats and baleen. 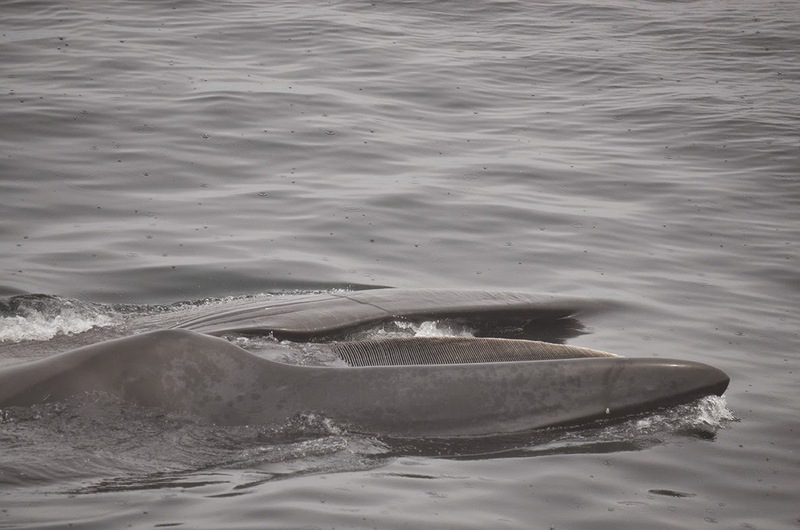 As these sei whales fed, they filtered seawater on their sides allowing guests to watch their ventral pleats stretch, their throats expanding as they slowly filled with seawater (see photos). We then observed this water flow through their baleen as they filtered their food out of the water. We watched these whales feeding in awe the entire trip and enjoyed listening to them breathe against the silence of a calm sea. 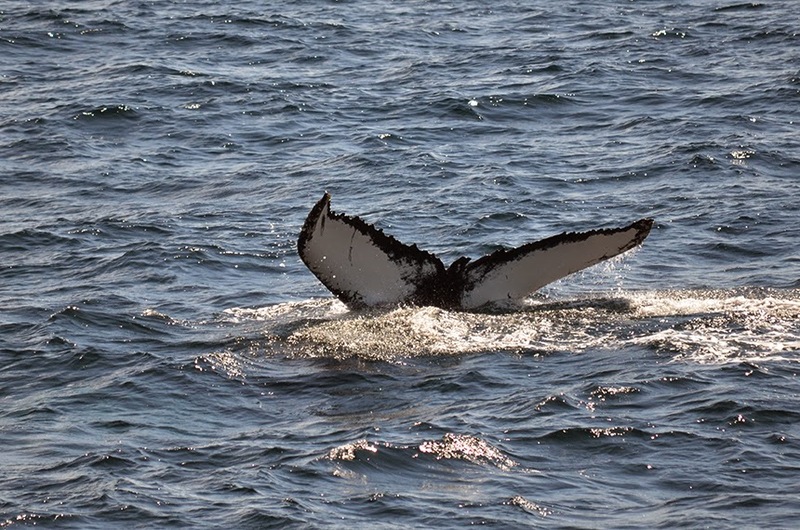 I felt very lucky to have been on our whale watch yesterday and I know our guests did as well! It was an experience I know I will never forget! I promised I would provide an update regarding an entangled whale we heard about over the VHF radio on Sunday. 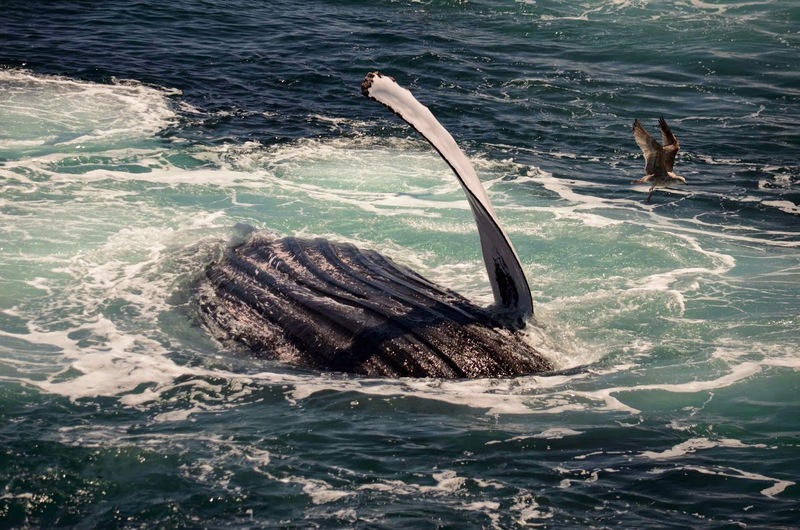 Fortunately, the humpback whale was successfully disentangled by the Center for Coastal Studies disentanglement team. However, with deep wounds and being underweight, it is likely still suffering from the effects of the entanglement. 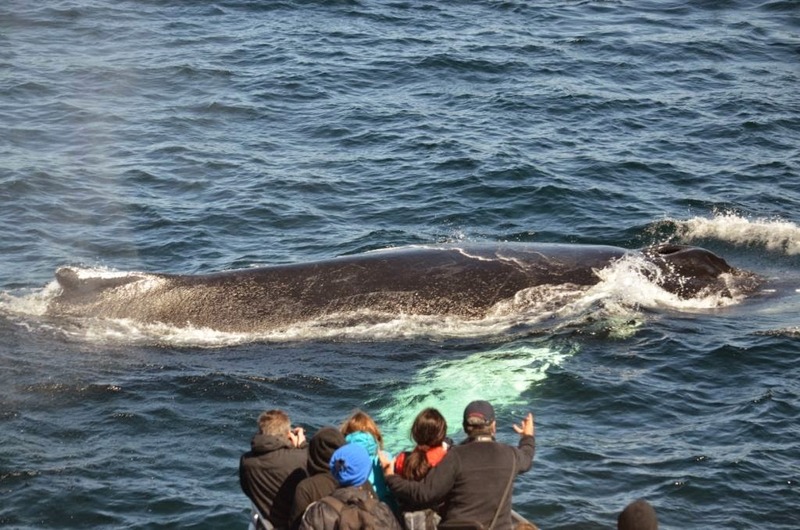 We had two unbelievable whale watches yesterday! 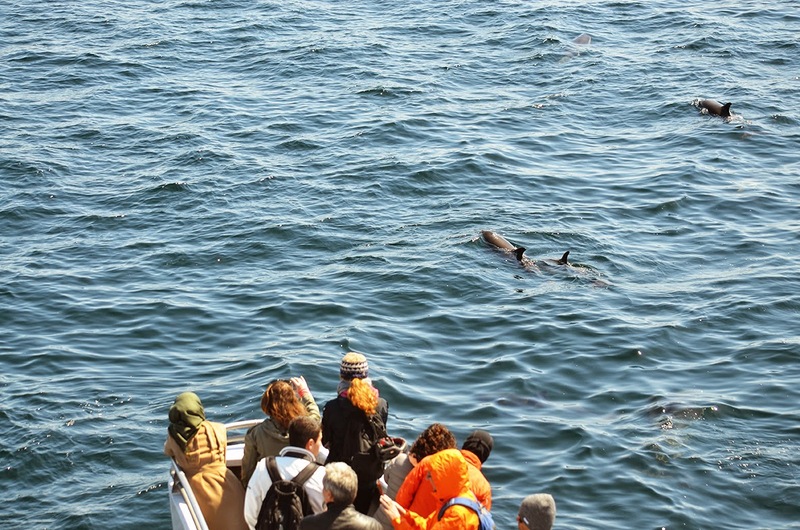 Passengers on both trips got to see six different marine mammals (and possibly a 7th, more to come on that)!!! 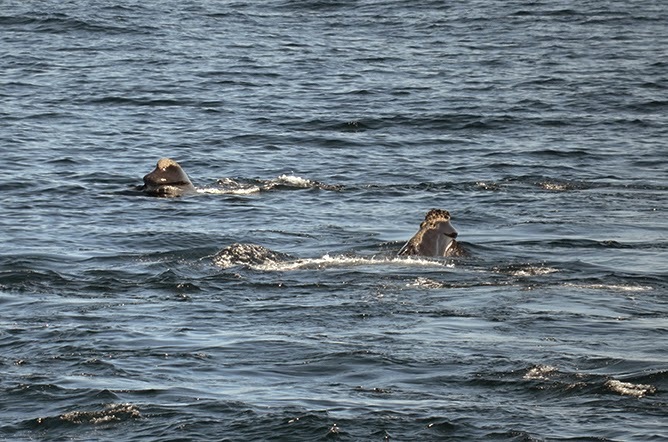 These sightings included gray seals, groups of feeding humpbacks, traveling fin whales, minkes, lots of scattered harbor porpoises and large groups of Atlantic white-sided dolphins. On our first trip, we had 3-4 scattered groups of kick-feeding humpbacks! We chose to spend our time with Falcon, Daffodil, Tornado, Lobo and Sundown who stayed together kick-feeding and bubble-netting next to one another throughout the entire trip. Guests had the amazing opportunity to observe powerful surface lunges as these whales filtered sand lance out of the water. This afternoon we still had whales kick-feeding in the area, one of which was Sundown. 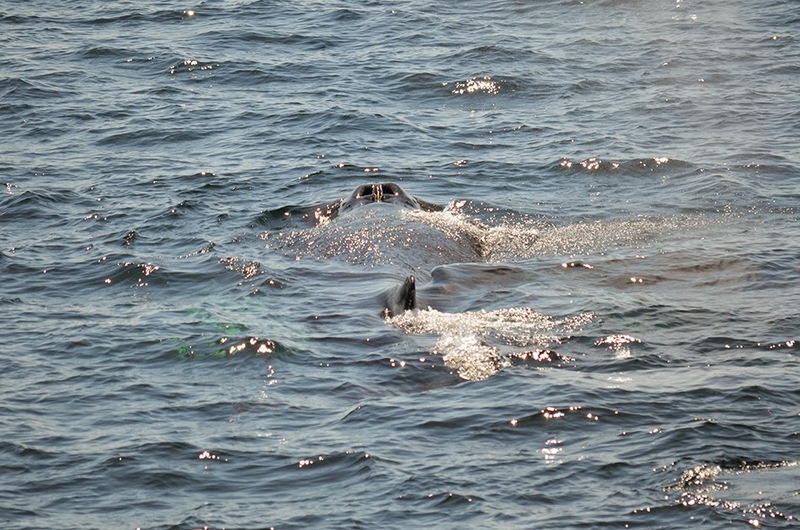 We also had a few whales bubble-net feeding together. Daffodil, Aswan, Tornado and Streamer spent a good amount of time bubble netting while dolphins fed on the fish that got away. A whale named Canine swam through the area at one point throughout this feeding along with a couple fin and minke whales. We had a number of harbor porpoise sightings on both trips today which can often go unnoticed due to their small size and rapid surfacing. Luckily the sea conditions were super calm today, which allowed us to notice even minor disturbances in the water. 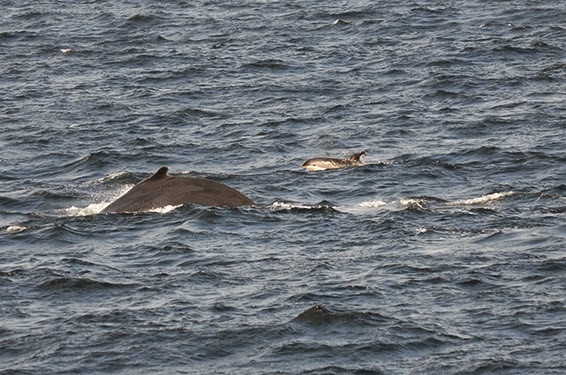 Among the many minke and fin whale sightings today, we suspected a couple of them to have been sei whales, a species that is occasionally seen in the Stellwagen Bank area around this time of year. Unfortunately, we were unable to get close enough to these animals to be certain of the species. In conclusion, we had our Stellwagen Bank Sanctuary Seabird Stewards on board today which always adds to the excitement of our trips. 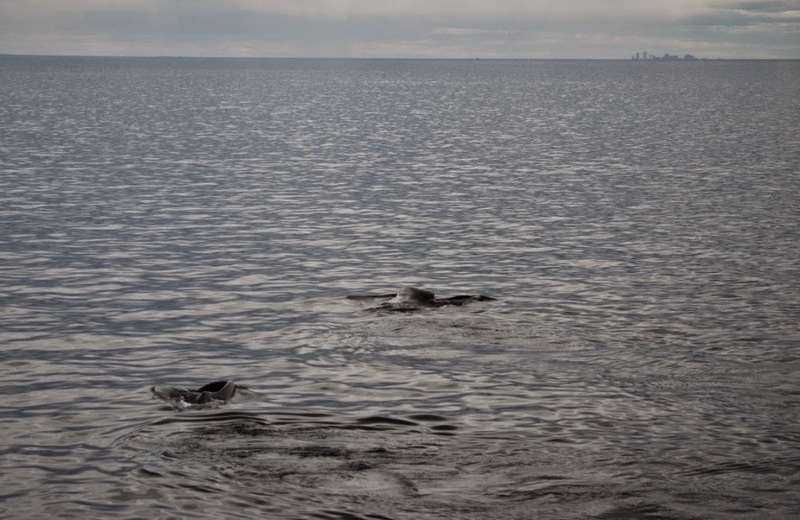 Among their many seabird sightings, I can say for certain they were most excited about a group of common murres they spotted, not to mention the amazing whale activity observed! Today was definitely a day of cross-species feeding frenzies! This morning started off with an early appearance of two humpback whales, one of which was Platform, in an area west of the bank known as the dumping grounds. After a few long dives, our eyes were drawn to the three large blows of a group of fin whales in the distance. 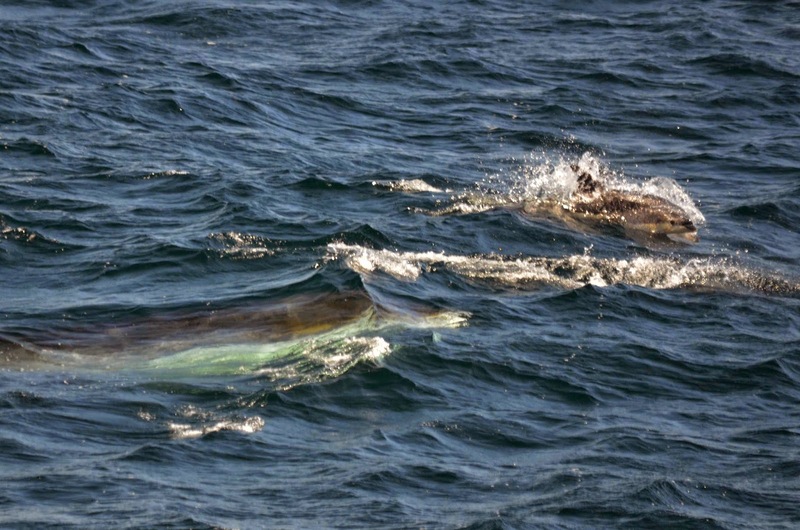 One of these fin whales was quite small and may have been a calf or juvenile. 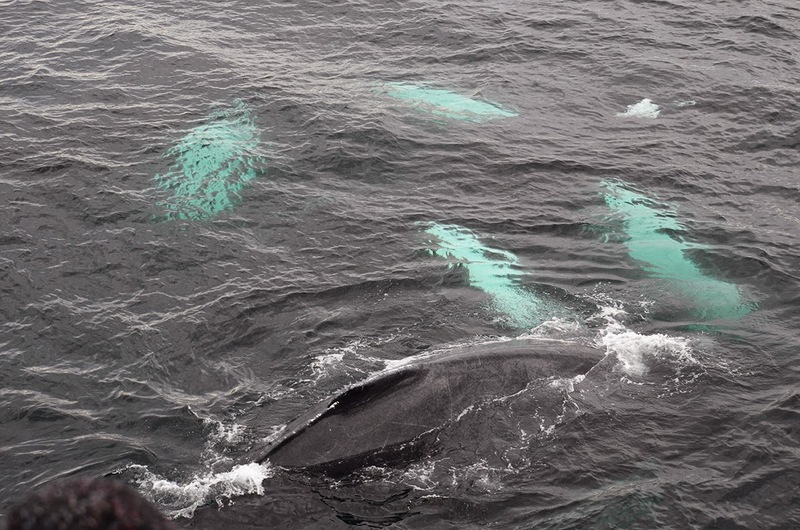 We then moved on to another group of three very active fin whales which converged directly in front of the boat as dolphins weaved in and out of these enormous whales (see photos). We had beautiful views of their asymmetrical white jaws and unique chevron patterns (see photos). 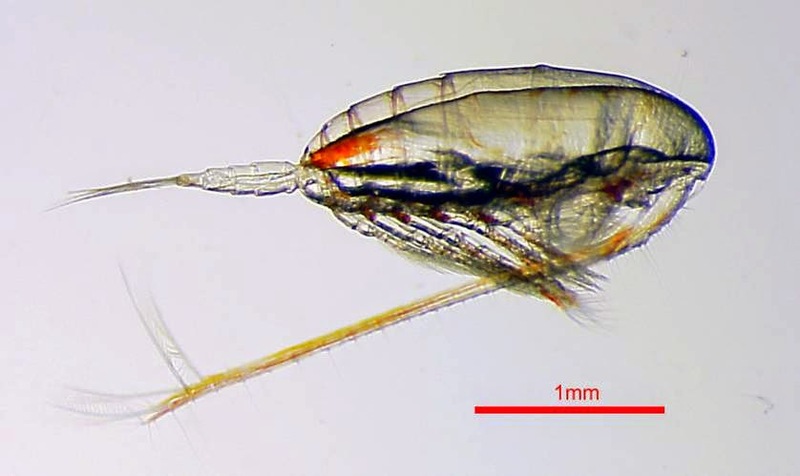 You can even see that one of them had microscopic algae known as diatoms growing along the length of its body giving it an iridescent brownish/green mottling. 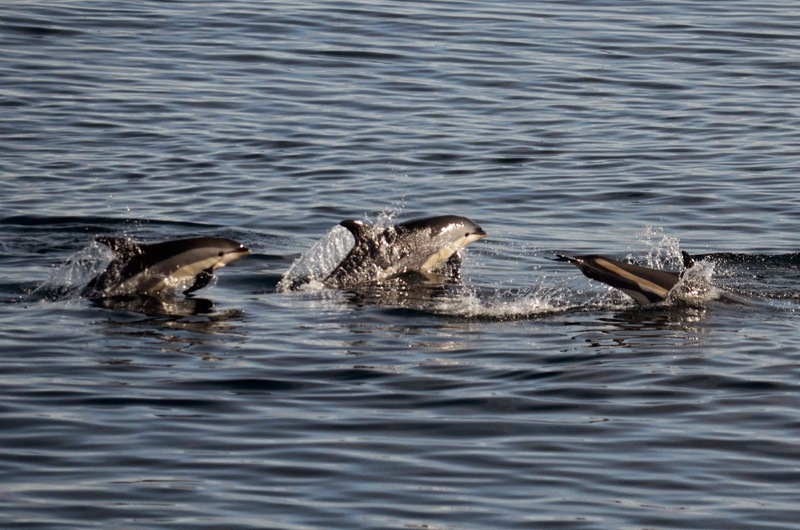 Among the associated dolphins, we saw a tiny calf with its mother! Nearby a couple humpbacks, one of them we IDed as Tornado, were kick feeding! We had a few quick looks of this incredibly exciting behavior before heading back to Boston. Along the way home we also spotted a minke whale surfacing very close to the boat! For bird sightings today, we saw surf scoters, black scoters, eiders, double-crested cormorants, northern gannets and various gull species. It was definitely another exciting day on Stellwagen Bank! This morning we all boarded the Asteria for the morning’s whale watch without having a good idea of what the outcome would be. 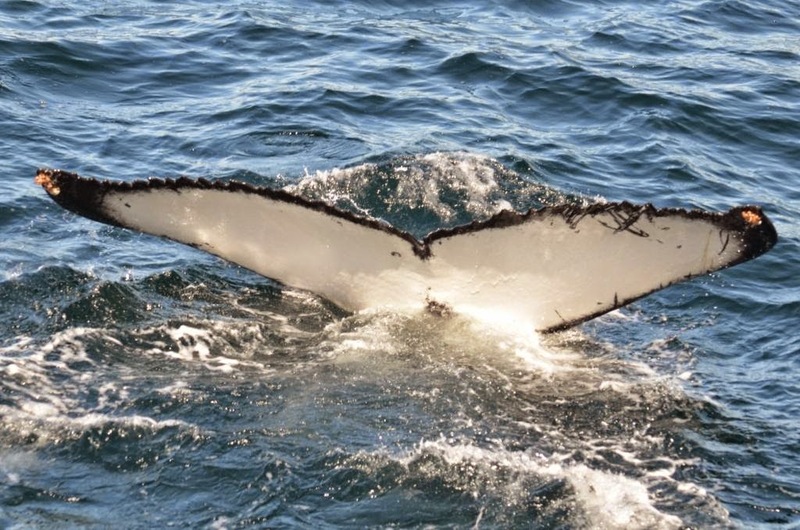 It has been very rough out on Massachusetts Bay this week and we haven’t had a whale watch since Sunday. Luckily for us, the seas where much more favorable and we made it out to the northwest corner and could see blows in every direction. A little rough weather definitely doesn’t scare the whales away! We started our trip with a group of four humpback whales that were doing some kick feeding behavior but I quickly got sidetracked by a pair of fin whales. 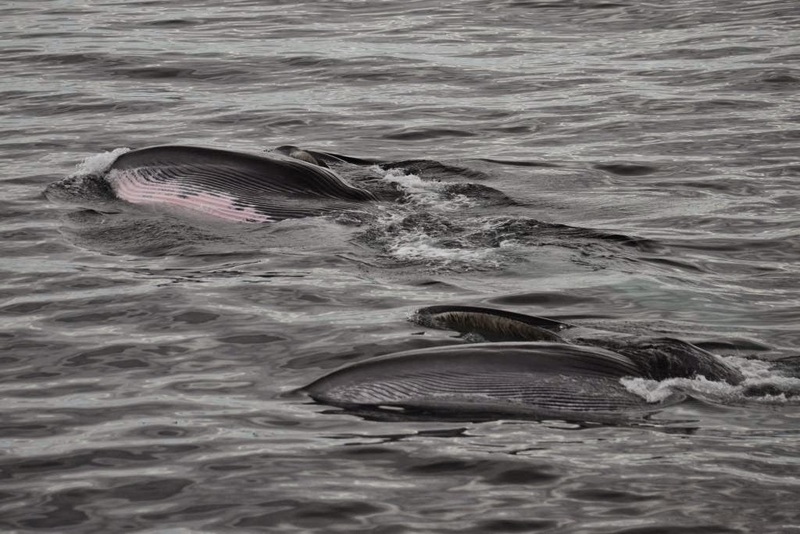 We’ve been seeing a lot of fin whales lately but what caught my interest in this pair was that one whale was much smaller than the other – it was a mother and calf! We don’t see as many fin whale calves but they certainly come to this area just like our more commonly sighted humpback whales. We got good looks at about 8 humpback whales today but the whales where very reluctant to show us their tails and of all of those we only where able to identify one humpback: a whale named Blackbird who has a very distinct tail shape which actually looks like a bird taking flight! Looking back at my sighting log, I don’t actually have Blackbird listed as a whale that I have ever seen before but I instantly knew which whale it was out on the water. This is exactly how our naming system should work and why we use actual names rather than numbers to name our whales. I would have never remembered this whale’s individual number but a name based on its tail markings is much easier. Apart from Blackbird we got some great looks at a curious humpback whales that spent some time diving beneath our bow and a group of three logging (sleeping) humpbacks. I am pretty certain that this last group contained a mother and calf but again we didn’t get looks at any flukes so we’ll have to keep our eyes open over the rest of the week. 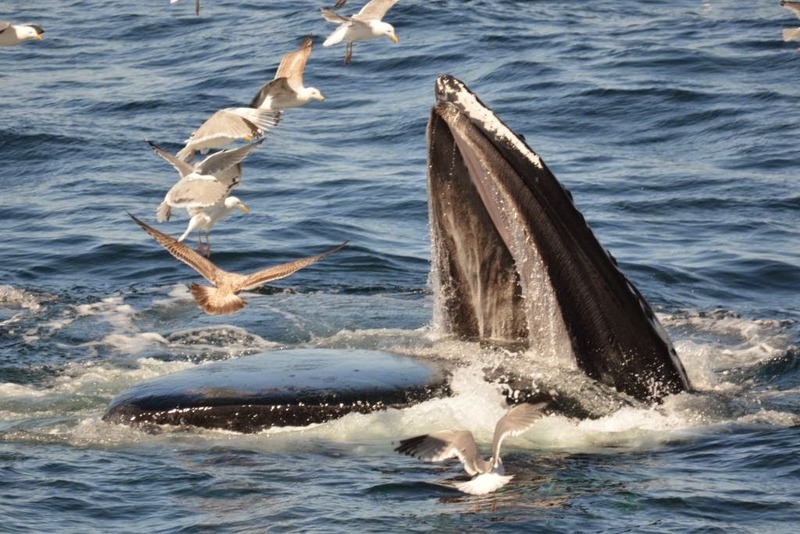 Our morning whale watch yesterday started out with an absolute feeding frenzy! We initially spotted 3 to 4 feeding groups along the northwest corner. The group closest to us consisted of approximately 10-13 humpback whales including the grand dame of Stellwagen Bank herself, Salt! Additional members of this bubble net feeding group included Sprinkler, 747, Aswan, Snare, Grackle and a few unknowns. We had 1 or 2 calves in the group as well but were unable to pinpoint who their mothers were due to the chaotic nature of the feeding. Nearby Mend was spotted milling at the surface. The feeding frenzy was short-lived as the group scattered. 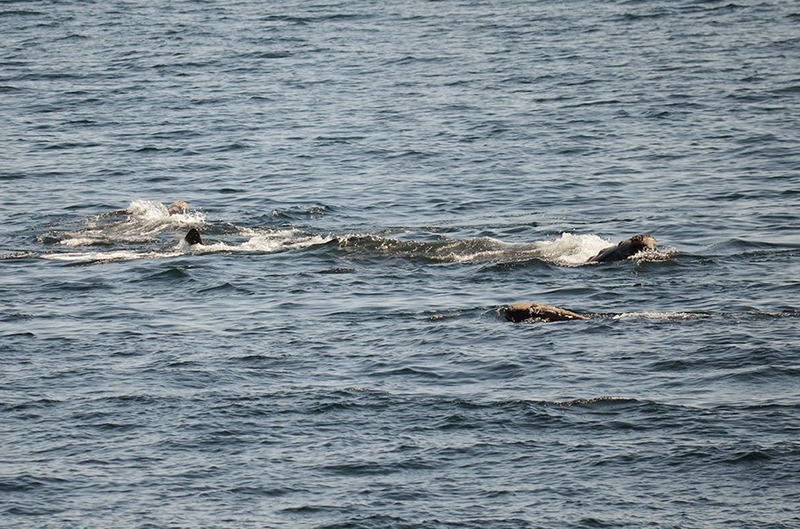 However, they collectively showed a deliberate movement northeast followed by the dolphins and hungry sea birds. 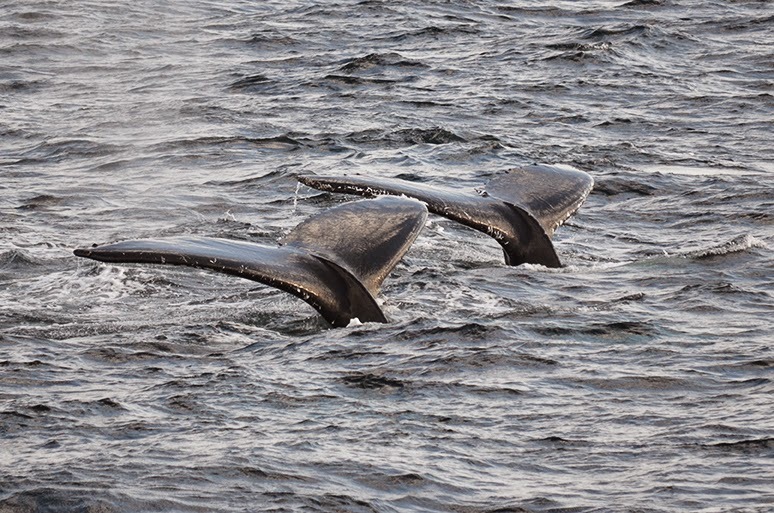 After traveling for 15 minutes or so, a group of 4 humpbacks stopped to participate in a few rounds of bubble netting. 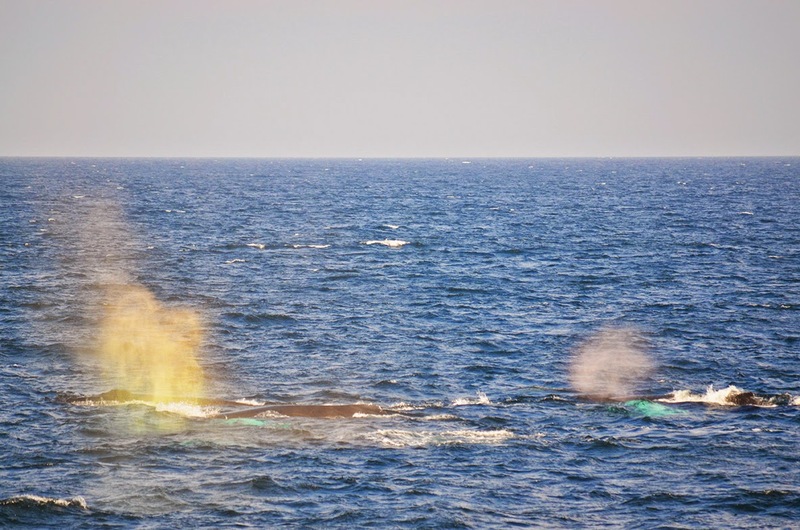 We watched Aswan, Blackbird, Sprinkler and a sneaky 4th whale feed while a number of fin whales perused the area. 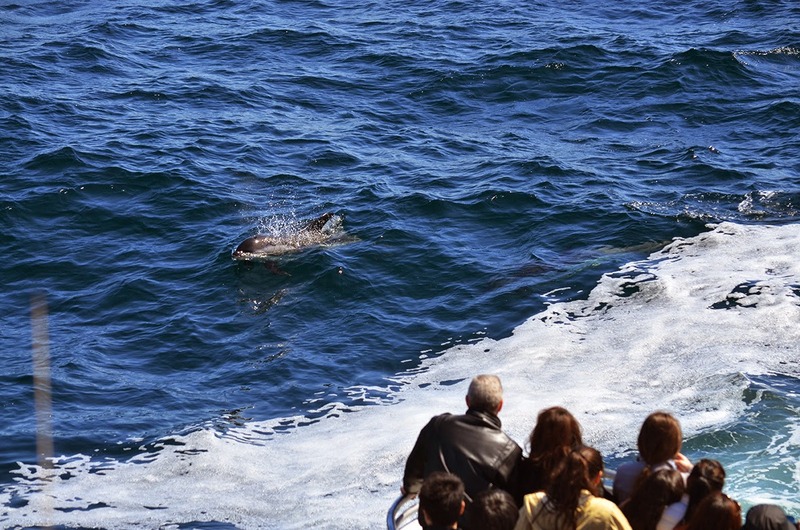 All the while, dolphins interacted with the boat and took advantage of the efforts of the Humpback Whales. As we turned for home, we saw a couple of feeding groups in the distance and recognized Zeppelin and Patchwork. 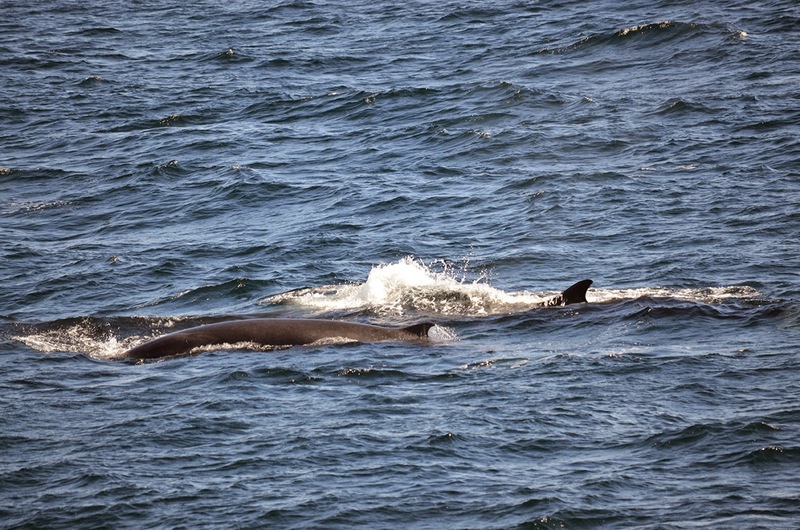 Before leaving, we even had a quick minke whale encounter! This afternoon, the feeding appeared to slow down, but it's possible that feeding was still occurring but lower in the water column. We first came across Sprinkler and 747 who were repeatedly diving beneath the boat. As captain Chip noted yesterday, we really don't know if their close approaches were due to a fascination with the boat or sand lance beneath us, but they consistently surfaced within about 20 yards of our boat for about 25 minutes. After some time a solo calf swam into the area, after which sprinkler must have slipped away and was not seen again. Although we did not observe 747 and this calf exhibiting behavior typical of a strong mother calf bond, there were no other obvious humpbacks nearby that could have been a potential mother to this calf. We will keep an eye out for this young whale in the coming days to make a positive determination as to whose calf this is. We then moved on to a group of five humpbacks, Falcon, Persied, Snare, Mend and Canopy, which were making approximately 6 minute synchronized dives. We suspected that this group may have been in search of, or feeding on, bait lower in the water column. 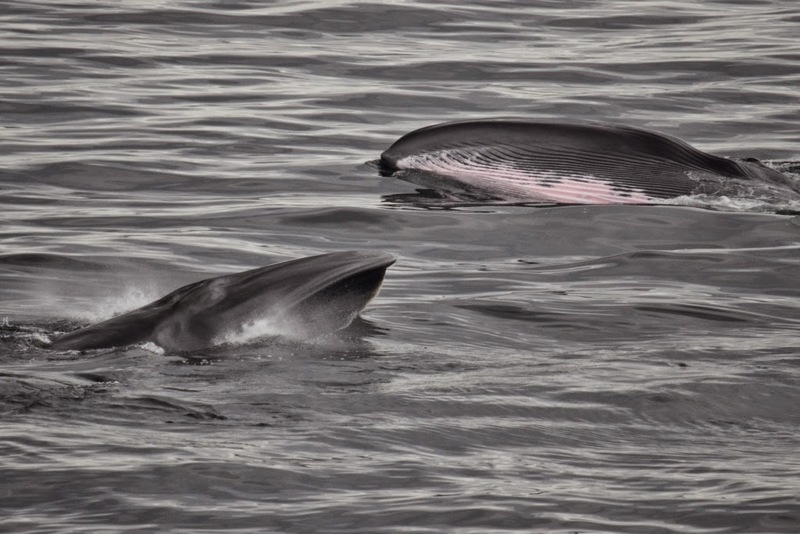 Minke whales also made a strong showing in this afternoon, a number of which came unusually close to the boat giving the passengers beautiful looks of these often elusive whales. Our bird sightings yesterday included hundreds of diving gannets, herring gulls, laughing gulls, common cormorants, eiders, white-winged scoters and a pair of razorbills. We had a fantastic Sunday on the water! Though a bit rainy, we had a great trip today aboard the Aurora. The sightings locations have been bouncing a bit around the NW corner the last few days, so captain Jeff decided to travel across the entire NW corner to find whales, and it paid off. 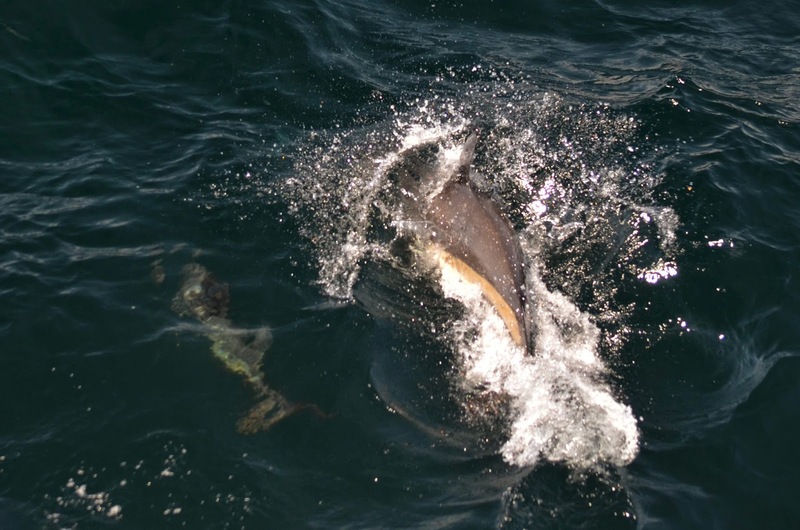 When we arrived on the corner, we started seeing various splashes in the distance, and also began to be surrounded by scattered Atlantic white-sided dolphins. When we got closer to the splashes, myself and the passengers were very excited to see that it was actually lunge feeding behavior! Lunge feeding is one of my favorite behaviors because it always takes you by surprise and you really get to witness firsthand the amount of force these whales can exert - and today was no exception! 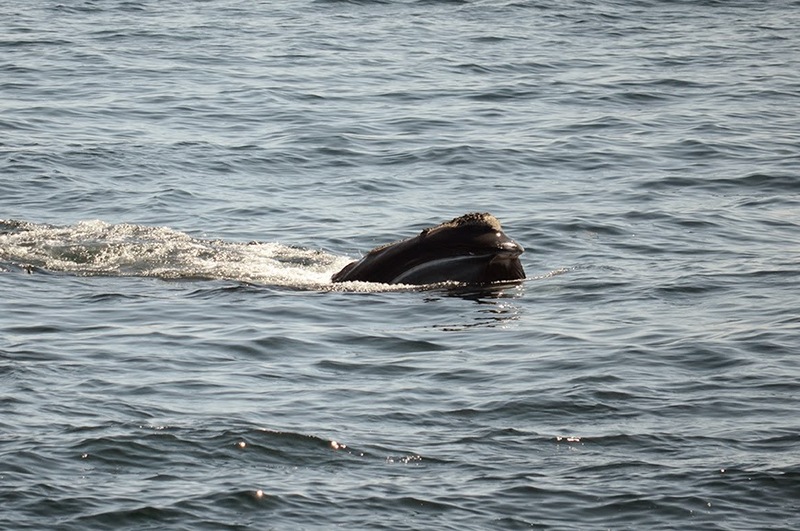 We began the trip by watching a pair of two humpbacks (later ID’ed as Sprinkler and another unknown we have sent to Center for Coastal Studies to help ID) continuously horizontal lunge feeding together. Passengers were really fascinated on how this pair worked so well and quickly together! In some of the photos you can observe their prey (sandlance – see photo). This pair gave us some excellent close to boat lunges as well (see photo). 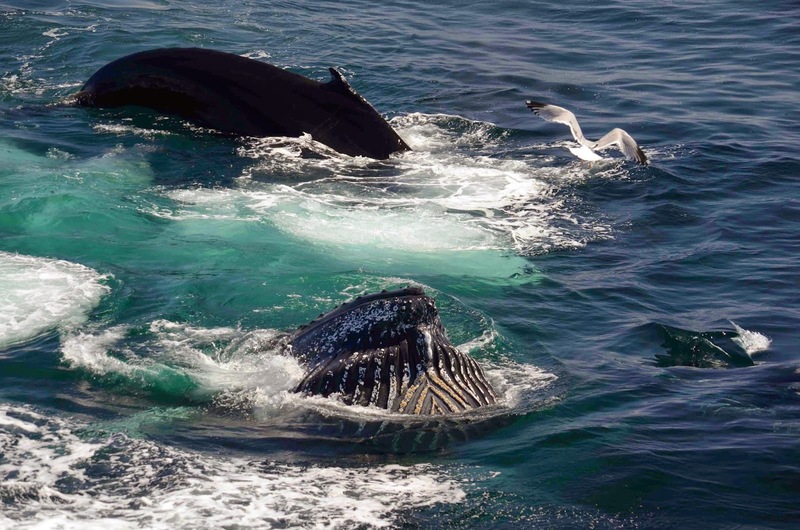 As this duo worked together, a third humpback, Trance, was side-lunging in the same location, but not associated. In the latter half of the trip, this group eventually formed into a trio, and while we were watching this group lunge, a large fin whale began lunge feeding close by! (see photo). It was a great teaching moment to explain the different feeding techniques of the two species. 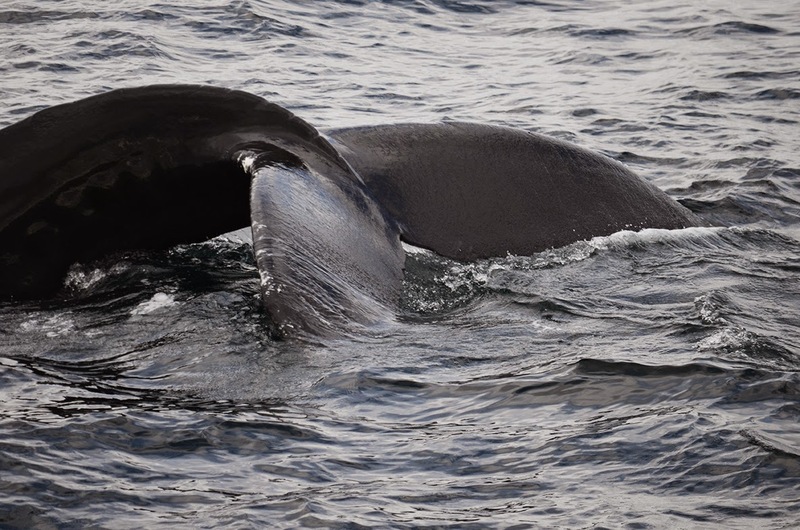 The fin whale lunge (see photo) is much sleeker and quicker, and makes quite a big wave! 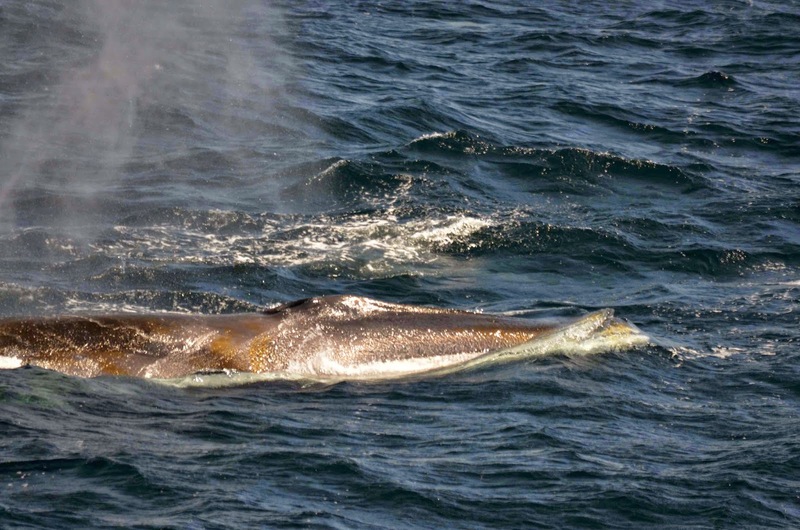 Also fin whales almost always lunge on their right side – it’s hypothesized that maybe their lighter-colored chevron patch on their right side (see photo) helps confuse the prey they are corralling. Overall a fantastic day of lunging humpbacks and fin whales, and white-sided dolphins following alongside. 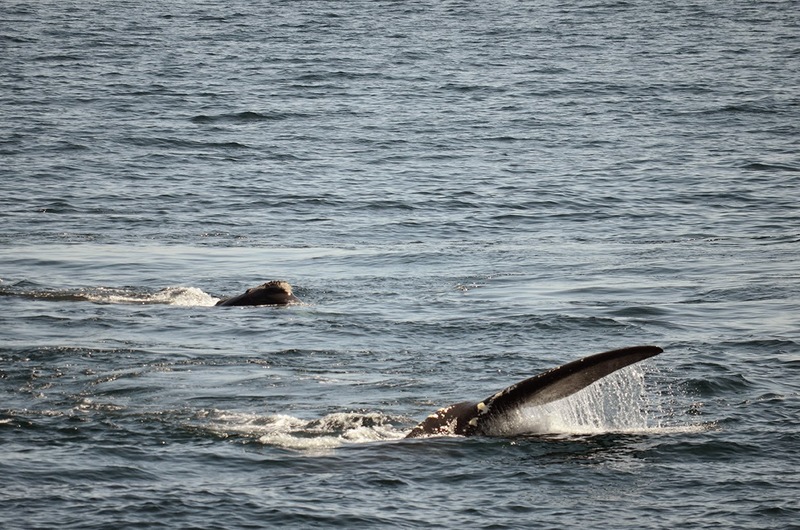 We also spotted a minke whale and harbor seal, making it a five marine mammal-species day. Plus we saw tons of gannets and gulls!